Anyone who is a regular reader of my blog (for which I am very thankful) will know that I have an obsession with candles and I have on more than one occasion written posts about my love for them and the relaxing atmosphere they create for me personally. 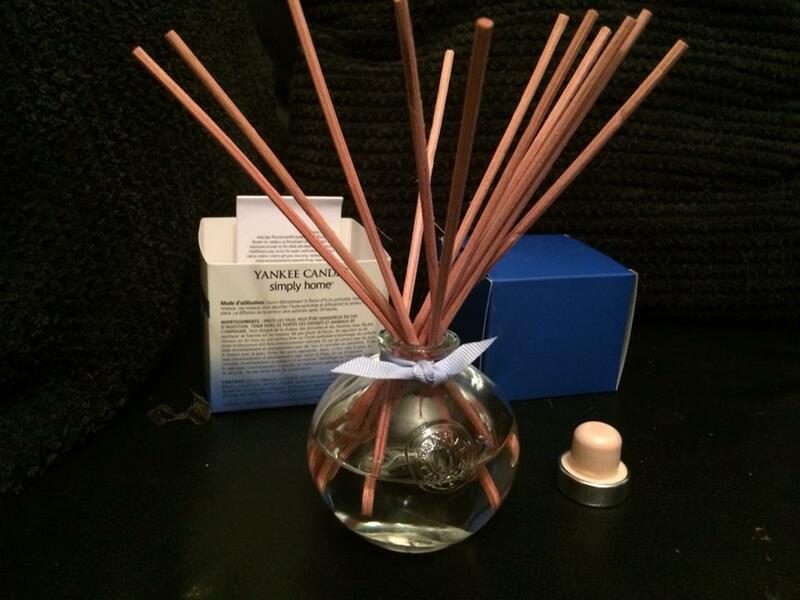 Candles aside, I also have an obsession for Reed a Diffusers and there is always one in every room we have. 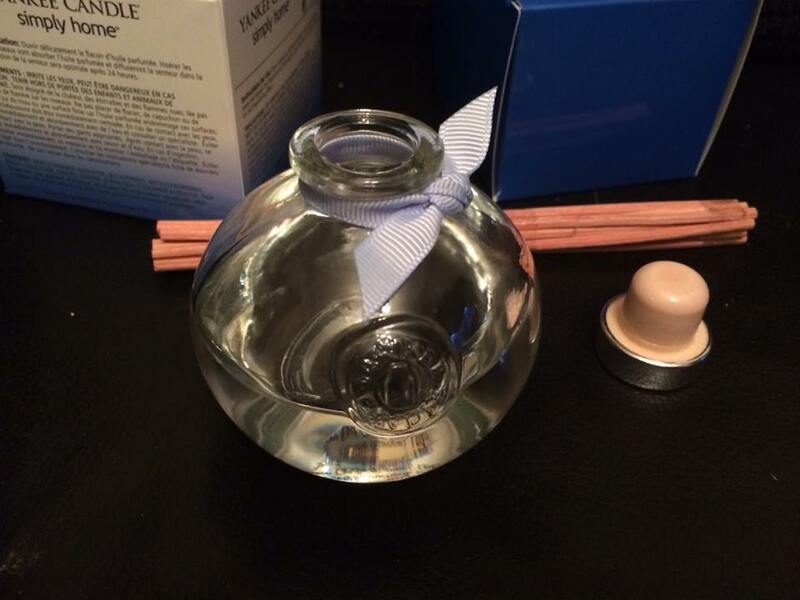 I usually purchas my diffuses from places like Primark, Wilkinsons and even Camden Market because you can get some unbelievable bargains and the ones from Primark for example are not only brilliant value for money but they have lasted much longer than some of the bigger brands I have tried. 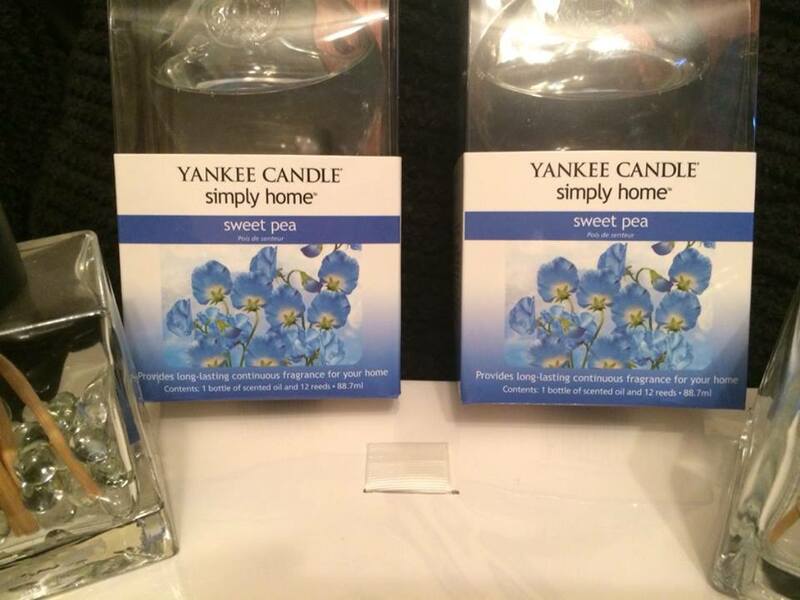 Yankee candles are amongst my favourite candles and I have two scents which I would happily purchase again and again - Clean Cotton and Sweet Pea. 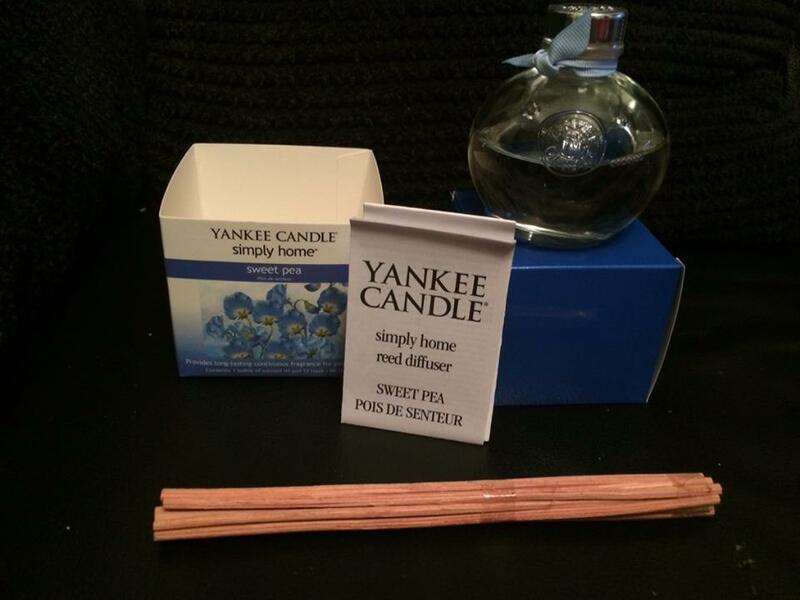 When in my local Asda I saw that they now sold Yankee Candle Reed Diffusers I decided to purchase two to see what they would be like having not yet tried them and at the time they were on offer but usually retail for £12 each. The one thing which stood out to me is the fact the actual glass bottle is round in shape instead of being square and that is really what caught my eye when I was stocking up on wax tarts. The way in which the bottle is designed means that I can use it for other things once it is empty, unless of course I can find the oil separately to top these ones up. "Like spring in a cottage garden, the air is filled with heavenly floral nectars"
If like me you are a fan of the candle version, Sweet Pea smells exactly the same, the only difference being is that these reed diffusers can be left unattended and the scent is free to linger all day long throughout your home. I have both of mine in two separate rooms, one is in the hallway and one in the bedroom. 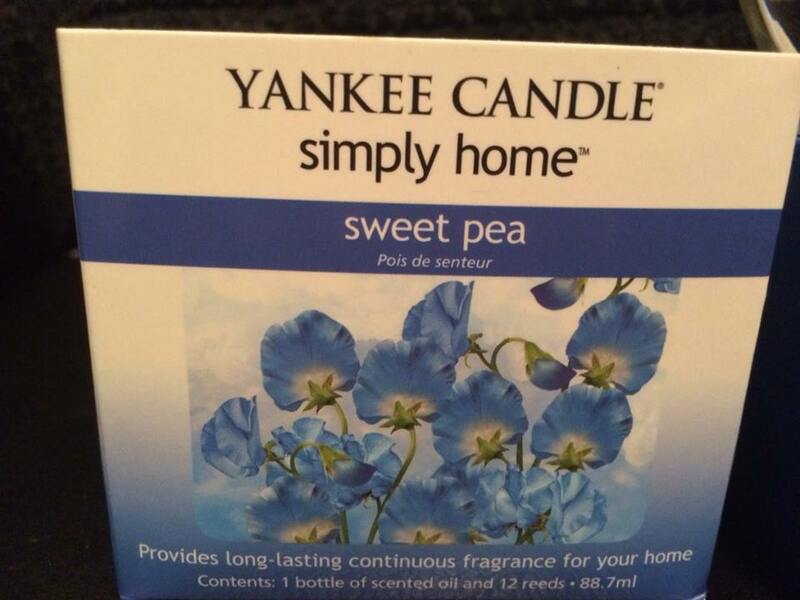 As soon as I step into the hallway I can immediately smell the sweet pea fragrance and the same for going into the bedroom, if the door is shut the scent is also much stronger. I am a big fan of these reed diffusers and really love this scent that they produce, so much so that I would happily purchase more from the range. Do you have a favourite scent and favourite brand? 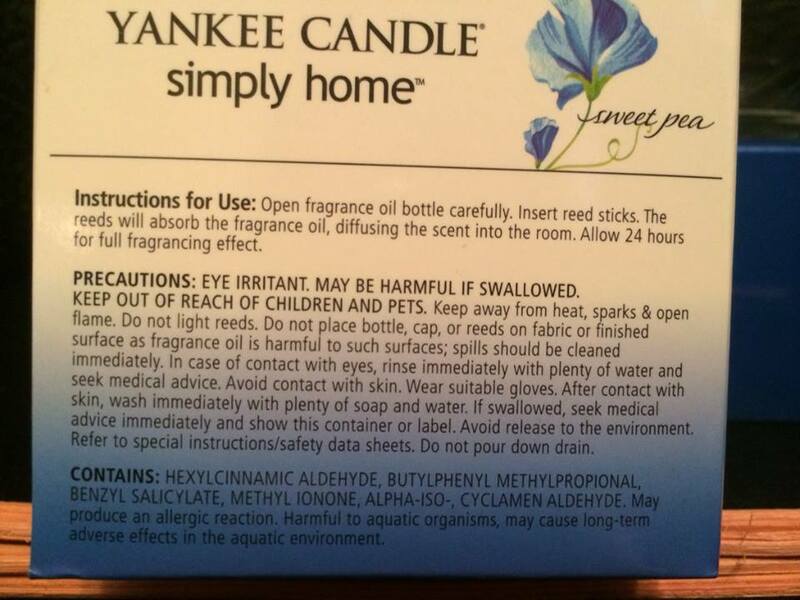 this is my favourite yankee scent! 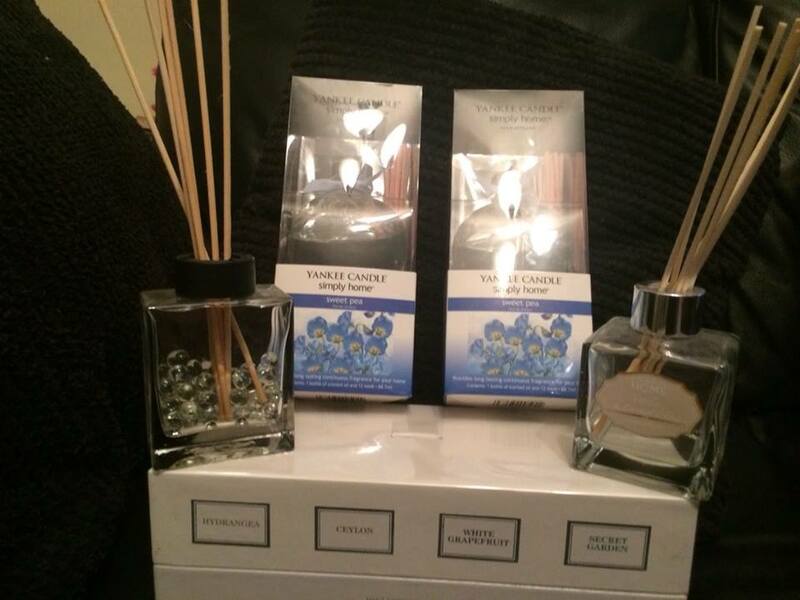 I use reed diffusers for my bathroom, I am also a huge candle addict, they are so soothing! I may treat myself to one of these next month.